In the following position White has played 1.Kd2 with the terrible threat of Rg1 and Qh6+. Can Black save himself? 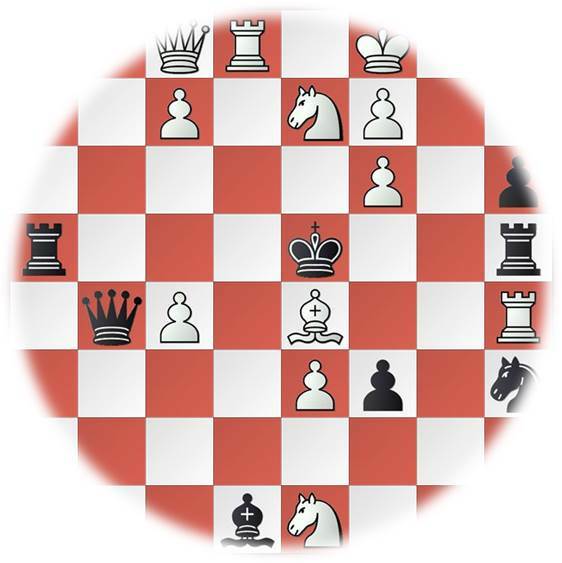 The 57th World Congress of Chess Composition took place in Berne, Switzerland from 23rd August to 30th August 2014. There were both composing and solving contests in problems and endgame studies. There were as many as 104 players in the Solving Competition. It was a star-studded field with some of the greatest names in chess participating, Marjan Kovasevic, David Gurgenidze, Kenan Valikhanov, Yochanan Afek, John Roycroft, John Nunn and Harold van der Heijden, to mention a few. The 1st Place was taken by Anatoly Mukoseev (Russia) followed by Bojan Vuckovic (Serbia) who came 2nd and Kacper Piorun (Poland) who came 3rd. The following is a beautiful two-mover from the solving contest. Give it a try. In the following position Black missed a simple combination and it took several moves for him to win. Can you do better? By the way, who were the players? What was the event in which this game was played? Solution: Quite a few readers got it right. Black missed an immediate victory with 1…Bh4! and he won only on 67th move. The players are Hikaru Nakamura and Fabiano Caruana. The event is 2nd Sinquefiled 2014. We have recently published the 5 Hardest Mate-in-2 Ever, this problem set is a continuation of that series. Since some of the solvers were complaining that the mates-in-2 were to easy we decided to increase a difficulty level by a bit and compiled a list of these 5 great compositions. Give your brain a workout, give it a try! Hardest mate-in-3 here! Today we present one of the longest mates in 2 ever. You see, a normal mate in two is… two moves. This mate in 2 involves 32 moves. How is that possible? You’ll need to find a mate in 2 on each file and rank individually. Therefore, you need to solve 16 separate mate in 2 problems. Challenge yourself and share you solutions! Today we present 5 very hard mate-in-two composition for your attention. 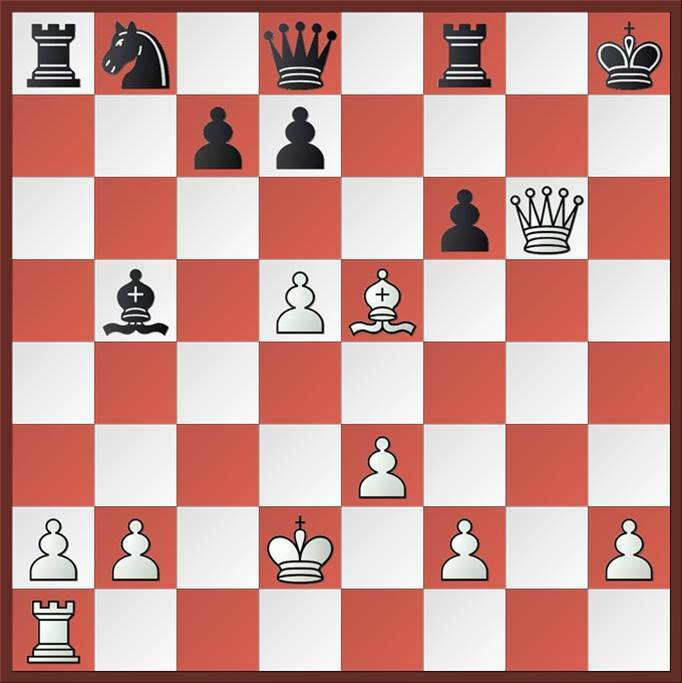 Look at each of the positions carefully and try to find a combination that leads to mate in 2. These are pretty difficult problems, don’t get frustrated if you take long time to solve them, this is normal. Hint: look for a quiet, yet powerful move. This type of compositions almost never start with a check or a capture. Think outside the box. Good luck! Previously we offered a few interesting tactics problems such as this, this and that. 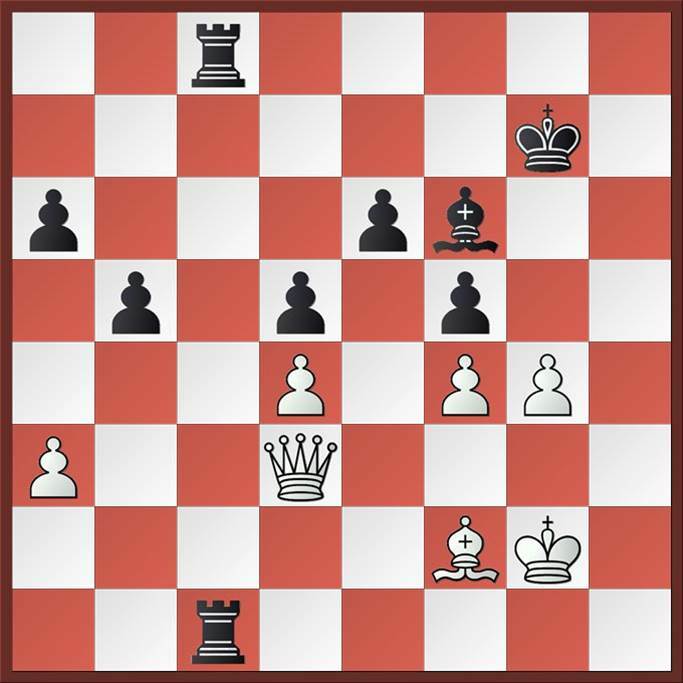 Today we want to present a 3 more interesting tactical motifs that most chess players cannot find. Take a look at these problems and challenge yourself to solve it. Today we will focus on the positions that appeared in the games of the World Champions and Contenders: Alekhine, Karpov, Korchnoi and Kramnik. They came up with brilliant attacking possibilities and successfully defeated their opponents. Now it’s your turn to find yourself in their shoes and to come up with the best moves. Leonid Kubbel was a prince among composers. I first saw an endgame study by him way back in 1970s. I still remember my awe and wonder seeing how the Black monarch was chased and mated with a lone knight. Ever since I became a fan of Kubbel. But then his admirers are legion. Great players like Smyslov, Timman and Nunn have been connoisseurs of his art. In his brief life he is said to have composed more than 1500 endgame studies and problems. The 1984 edition of his work (Leonid Kubbel by Vladimirov and Fokin) lists 466 endgame studies and more than 400 problems. Although I had this Russian book for nearly two decades I never paid attention to the problems section. Recently when I had a look I was in for a surprise. Some of these problems are indeed beautiful. Here is an example. See if you can figure it out.